Coda Signature is a premium infused cannabis products brand based in Colorado, but cofounder and CEO Mark Grindeland envisions taking the company’s luxury edibles, topicals, and concentrates to a national and international level. He spoke with New Cannabis Ventures about the private company’s founding, how its products are created, and his plans for the future. Grindeland, working to build his fifth startup, also has experience serving in C-suite positions of public companies with global brands. It was this background that made him a great fit for partnership with Elizabeth Cook. In 2009, Cook left a psychotherapy practice in New York to start a business in Colorado’s cannabis space. She opened one of the first dispensaries in Denver but sold her licenses in response to rapidly changing regulations. In 2014, she decided to get back into the business, but she wanted a partner with expertise in creating and scaling a viable financial model for a company. Grindeland left a role with a public company to become that partner at Coda Signature, focusing initially on the edibles market. Today, Coda Signature has a 30,000-square-foot manufacturing facility in Trinidad, Colorado and a corporate office in downtown Denver. Grindeland saw edibles as a high-growth area with less pricing volatility compared to flower. Rather than touch cultivation, the company began with edibles and then naturally expanded into topicals and concentrates as whole sale cannabis prices declined over 75%, making the company’s input costs considerably less expensive. Coda does all of its own CO2 extraction to ensure consistency and quality, and it creates its products using a combination of flower and trim, depending on pricing. 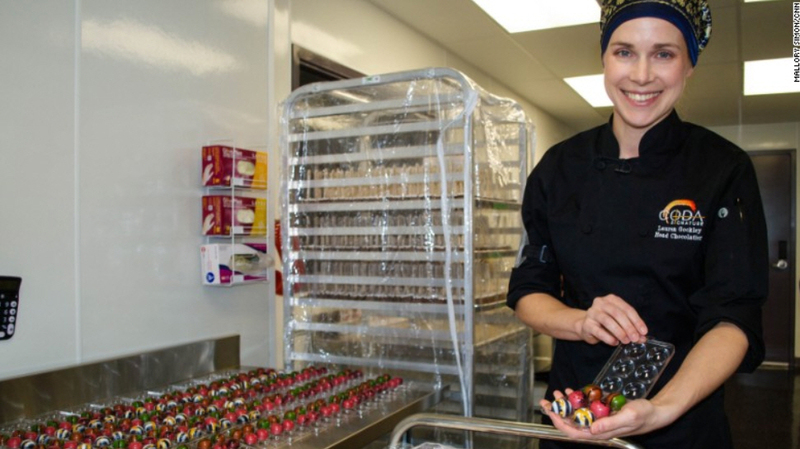 When it comes to creating the company’s signature flavors, Grindeland gives all of the credit to Lauren Gockley. 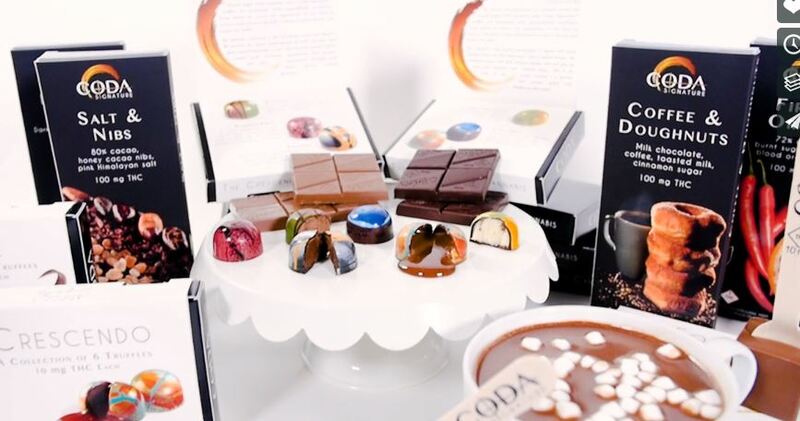 A classically trained chocolatier, Gockley studied at the Valrhona Chocolate School in France and then spent a decade working in high-end Manhattan restaurants, including time as the dessert chef at Thomas Keller’s restaurant Per Se. She saw the promise in the cannabis industry, and joined Coda Signature early on in its development. Grindeland, citing BDS Analytics, said the company makes seven of the top 20 chocolate edibles in Colorado, including the top product: the Coffee & Doughnuts milk chocolate bar. Edibles were just the beginning. Each year, Grindeland and the rest of the company’s leadership sit down and create a product roadmap for the next 18 months. The company’s first edible product launched shipped on March 31, 2016, and the company ended the year with eight different product SKUs in its edibles line. In 2017, the company launched its topicals and medical edibles lines, and in the first month of this year it launched a concentrates line. Right now, Coda Signature has 27 product SKUs in the market across its edible, topical, and concentrates line, and Grindeland expects to have 49 SKUs in the Colorado market by the end of the year. New products expected to roll out later this year include luxury topicals that transcend the traditional infused pain salves and creams to focus on cosmetic and skin treatment, extending on one of the company’s most popular products, its bath bombs. 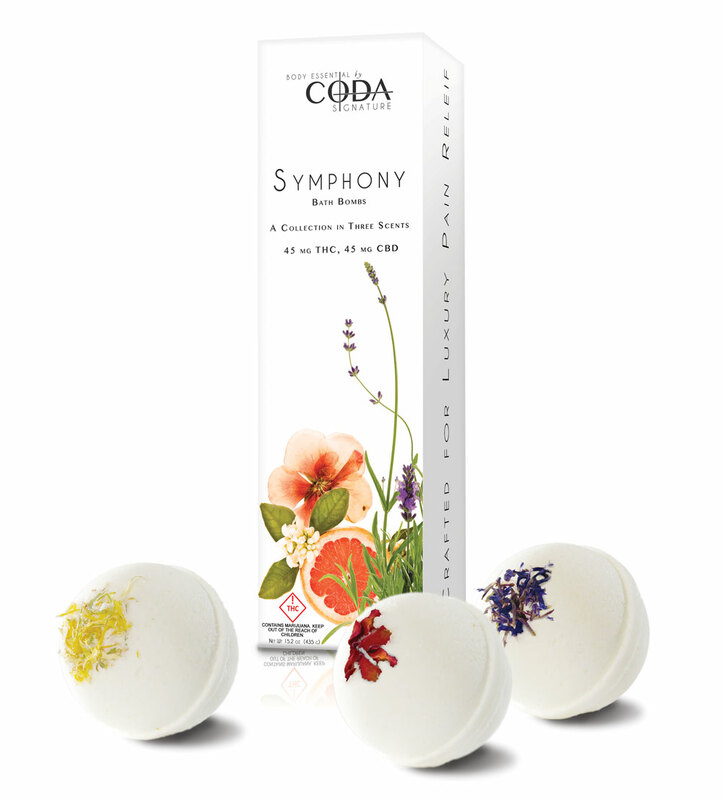 The Bath Bombs are an example of Coda Signature’s extension from its original focus on edibles. The Symphony collection, infused with CBD and THC, includes its Uplift, Balance and Calm formulas. In addition to growing its product portfolio, Coda Signature is looking at geographic expansion. The company is in the process of designing a facility in Oakland, California, which Grindeland expects will be bringing products to market by the end of this year or the first quarter of next year. The company is also in discussions with a number of licensed producers in Canada, so international expansion is on the table. The ultimate goal is to create the largest premium brand infused products company in the market, according to Grindeland. The company is working toward that goal by creating large manufacturing and distribution hubs throughout the country. If and when federal regulations loosen and allow interstate commerce, the company will be well-positioned to serve multiple markets from its hubs. For example, the Trinidad manufacturing facility could hypothetically serve Colorado, Arizona, New Mexico, and Texas. Grindeland is looking at other potential markets on the East Coast, particularly Florida, and in the Midwest. This kind of expansion, which requires new facilities for new markets, requires capital. Initially, Coda Signature raised capital through a network of high-network individuals in a note structure. Right now, the company is in the midst of a Series A capital raise, which has engaged a number of large firms yet to be formally announced. 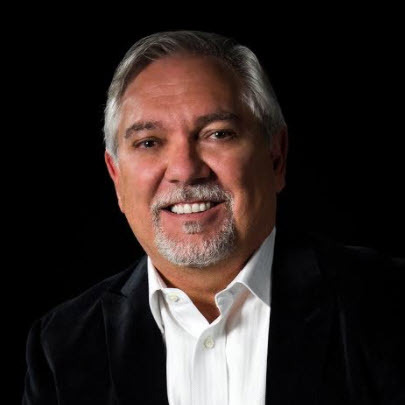 Grindeland acknowledged the challenges of operating a multi-state company in the current regulatory environment, but he believes the cannabis companies that build and scale successful brands will create high value for the market and their investors.